L-R: Gwilym Lee (Brian May), Rami Malek (Freddie Mercury), and Joe Mazzello (John Deacon) star in Twentieth Century Fox’s BOHEMIAN RHAPSODY. Courtesy Twentieth Century Fox. If you’re a fan of the music of the 1970s, your favorite artist may soon have a biopic on the way. An Elton John flick is already en route. We’ll probably get a Bowie movie. Maybe Zeppelin. I’m crossing my fingers for The Jim Croce Story. You can thank Bohemian Rhapsody for that potential onslaught. The Queen biopic has grossed more than $600 million worldwide so far on a budget of roughly $50 million. 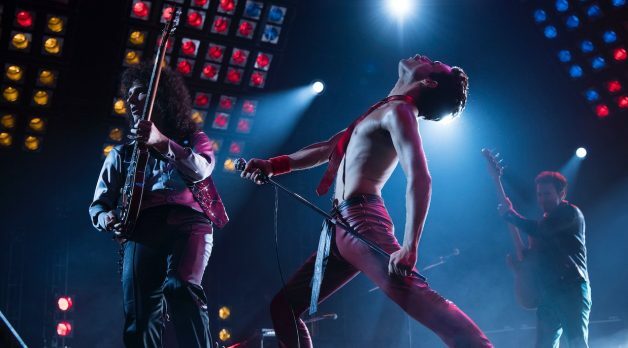 With the film still out in theaters, cinematographer Newton Thomas Sigel (Drive, Three Kings, The Usual Suspects) spoke to Filmmaker about recreating Queen’s epic concert lighting, using different lenses and LUTs to capture different periods, and his early days working with John Sayles and Haskell Wexler. Filmmaker: I didn’t realize until looking at your credits that you had this career shooting 2nd Unit in the 1980s on movies like Platoon and Wall Street. Any stories you can share about working on Matewan (1987) with John Sayles and cinematographer Haskell Wexler?